In an exclusive interview with the Dutch newspaper ‘Telegraaf’ on June 1st, the foremen of Saab and Damen showed an initial sketch of the new submarine, which they intend to offer to the Netherlands Defence organisation. 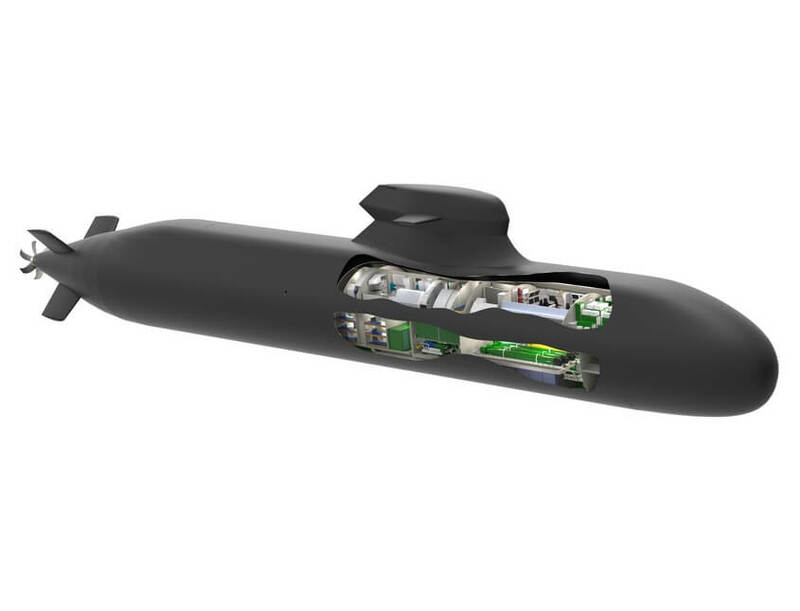 The consortium, together with a large number of Dutch companies and institutions, is one of the contenders for the replacement of the Walrus class submarine. In the article, the foreman of the Dutch employers organisation Hans de Boer pleads for the purchase of Dutch goods: “This way our naval people get the best of the best”. 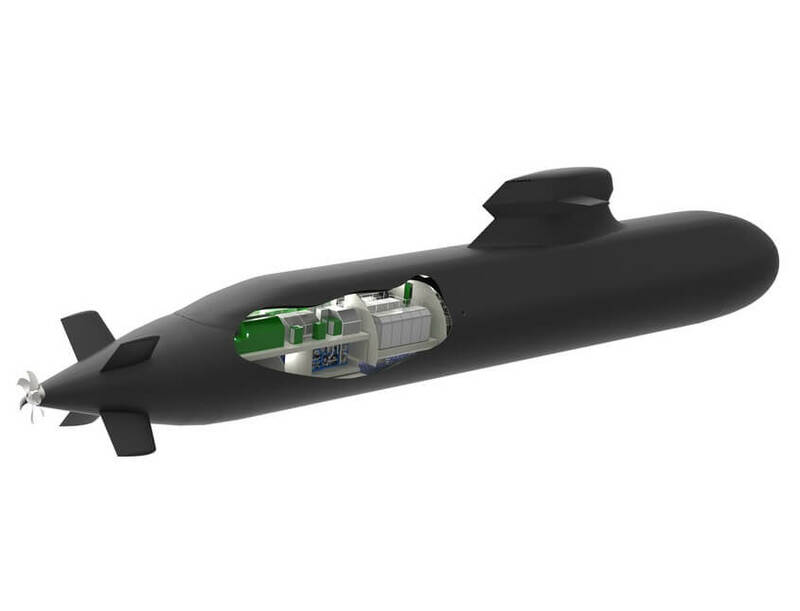 In the article in de ‘Telegraaf’ Hein van Ameijden (Damen) and Gunnar Wieslander (Saab Kockums) give a brief insight into the possibilities offered by the new submarine. 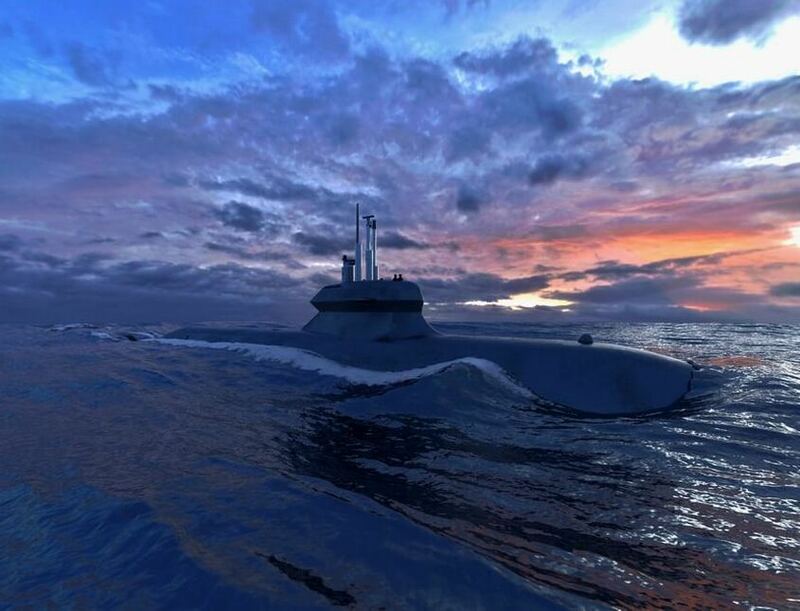 “Due to the modular design of the boat, it is possible for many Dutch companies to implement their products in the submarine and to renew them easily during the life cycle. They also place the emphasis on the launcher for special forces, right next to the torpedo tubes in the nose of the boat. In the ‘Telegraaf’ we read: “Until now, sea soldiers were only able to leave the boat vertically one by one. The system on board the Dutch-Swedish boat makes it possible to swim out horizontally with eight people at the same time. Thanks to a diameter of one and a half meters, the pipe will be wide enough to launch miniature sea-going vessels, both manned and unmanned. In the pictures, you can see how the Dutch-Swedish submarine design looks on the drawing board. The new design of Saab-Damen for the replacement of the Walrus-class submarine. Propulsion, Modern Stirling engines that can run without the need of air. 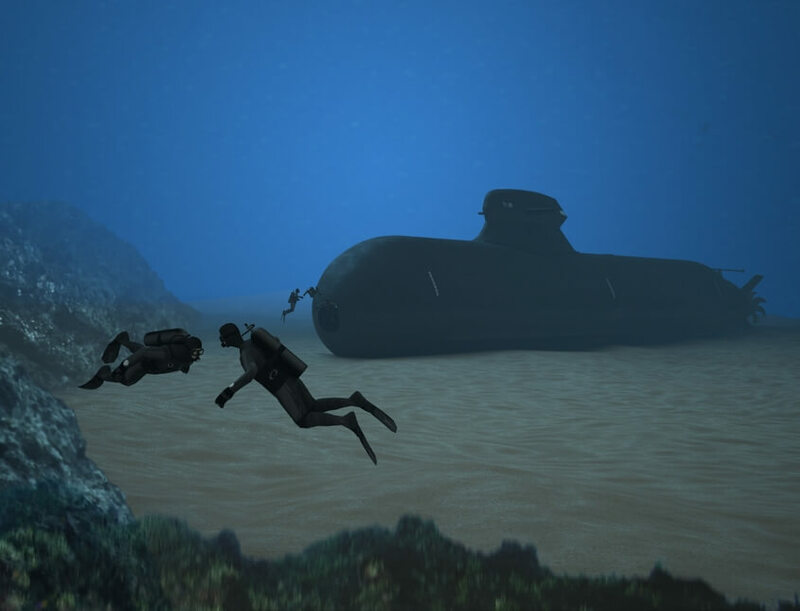 This allows the submarine to stay submerged for a longer period without the need to rise to the surface. Bridge en torpedo storage, The bridge is used to operate the submarine. In the past it was placed directly beneath the periscope, in this design it is moved towards a quieter place in the front. This has become possible with the development of electronic periscopes. The torpedo storage room facilitates space fort he American MK48 torpedo that has been used in the design. 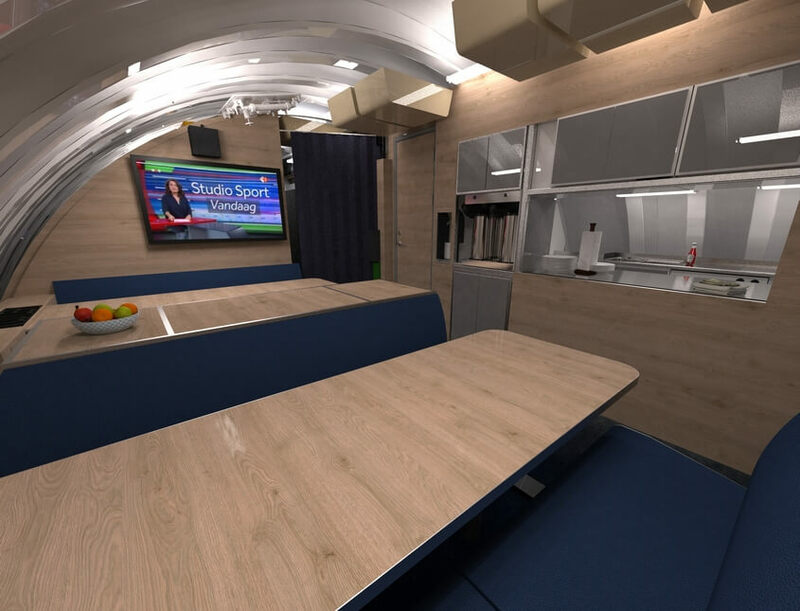 Crew accomodation, Both for the regular crew and special forces. Exit for special forces, where they can exit the submarine with eight persons at a time. Thank you for sharing your Damen memory. We will review your submission and you will receive an e-mail regarding publication at the earliest opportunity. You can upload up to 3 photos. Maximum size is 5 MB in total.